Just a week ago, this trip took two hours or more. Really, it’s a distance of about 30 miles, but throw in a couple border crossings and some traffic, and the trek from Hong Kong to Shenzhen can take a long time. 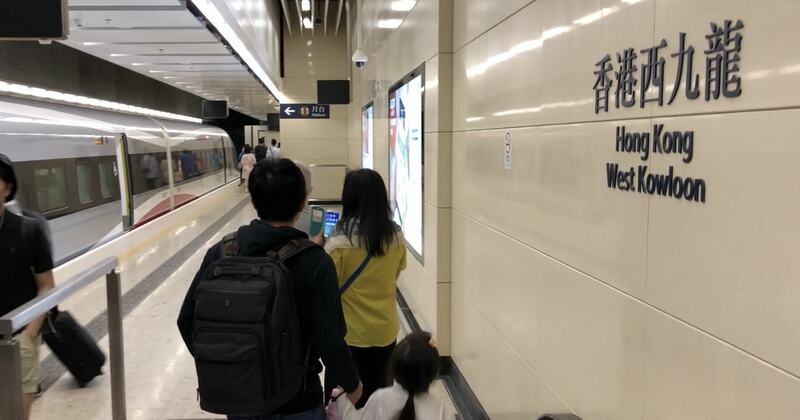 The high speed rail network that criss-crosses all over mainland China is now connected to Hong Kong, making the entire area easier to access than ever before. 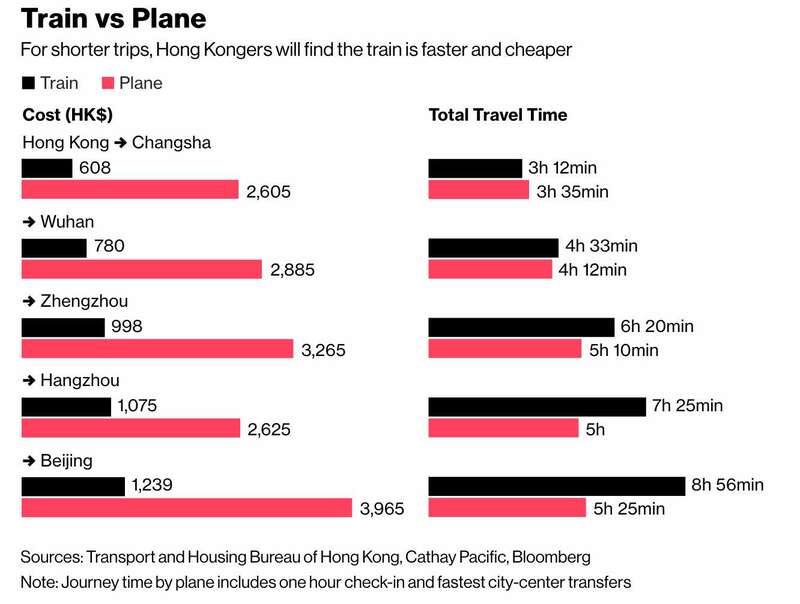 The details of this new high speed rail that crosses from China into Hong Kong are complicated and controversial. Since Britain handed over Hong Kong back to China in 1997, the Chinese Government has slowly been absorbing Hong Kong through a variety of policy changes over the past decade. These changes have been met with opposition from the population of Hong Kong, who do not want to be a part of the Chinese Government’s empire. However, that’s not the topic that we are going to be focusing on here. Instead, we’re going to look at the changes that this new high speed rail presents to China, Hong Kong, and the region overall – especially from an investing and business standpoint. First, it’s important to understand the previous method of crossing over the border between Hong Kong and China. There are four main methods, which are by car/bus, ferry, train, or air. If you travel by car/bus, ferry, or train, you must physically walk through one of several different border control areas that are almost always congested. In addition to actually waiting in long lines, just the physical process of taking transportation to the border, then having to walk across, then re-boarding your transportation is very inefficient. Throw in sweltering heat, crying babies, and crowded government facilities and you can imagine how frustrating the experience can be. If you take a plane from Hong Kong into China, or vice versa, the experience is exactly like if you are flying from one country to another. The flight itself isn’t bad, but the experience on either side of the flight is usually not that enjoyable. So, that’s how the trip from Hong Kong into China used to be. The new high speed rail option is a completely different experience. You first arrive at the West Kowloon train station however you’d like. I took a taxi. Once you get dropped off, you walk inside to find a terminal much like an airport. 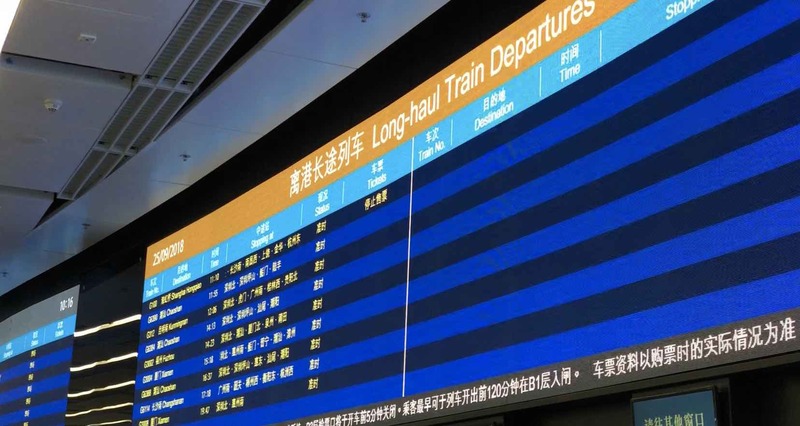 There are timetables and routes to different destinations throughout China displayed on multiple different displays. There are a variety of different payment methods accepted. 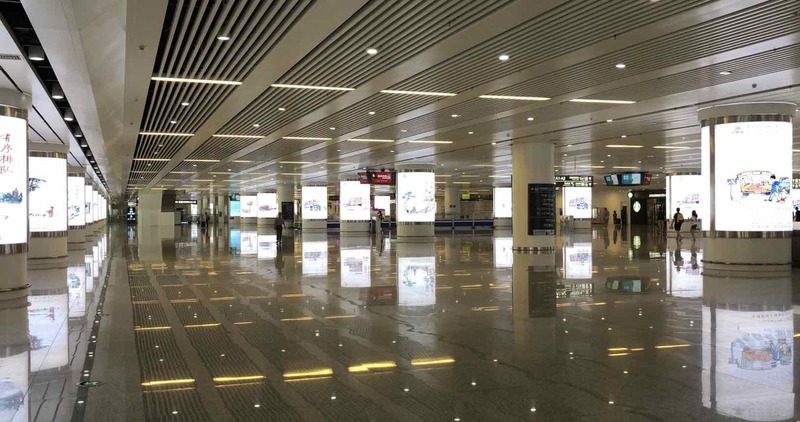 Once you receive your ticket, you then walk to security, which looks exactly like an airport. In true Hong Kong fashion, this process is efficient and painless. Once you pass through security, things get a bit interesting. The area that you walk into is what has outraged the people of Hong Kong. The actual land that is inside the train station is managed by the Chinese government. This is because you pass through Chinese customs before you board the train, even though you are still in Hong Kong. To explain what this means, think about when you go to the airport in your home country. Imagine that you are flying from the United States to Russia. However, before you board your flight, you have to go through an area of the airport, that is operated by the Russian government, even though you are inside of the United States. Now, this isn’t the best example, but the point is that the people of Hong Kong are very resistant to the Chinese government who has been slowly encroaching on Hong Kong. Little by little, Hong Kong is becoming more and more influenced (and controlled) by the Chinese government. When you are inside the train terminal, there is literally a line in the sand drawn – or in the tile – that indicates where you are. This “Mainland Port Area” is like an island inside of Hong Kong. Once you are inside this ‘island’ you then pass through Chinese immigration. On a personal note, I have always found the Chinese immigration officials ‘stoic’ but have never been harassed or treated rudely. Going through the immigration process here was the same. In fact, the Chinese officials actually seemed quite friendly with big smiles on their face. That’s probably due to the fact that the station was just opened when I was there, so it might have still been a bit of a novelty for these officials to be inside of Hong Kong working for the Chinese government. On the other side of immigration, there is a big waiting area with multiple different gates, just like at an airport. Once your train arrives, you line up at the gate, have your ticket scanned, and proceed down an escalator to the train platform. All of the seating is pre-assigned, so you have to make sure you know which rail car to go to before finding your seat. The train itself is spotless and very comfortable. I bought the cheapest ticket I could find, which was about $5 USD, as I was only taking a 10 minute trip. I don’t know why you’d buy a first class ticket for any trip less than an hour, as the seating in second class was very comfortable and had plenty of room. The ride was amazingly smooth, even though we were traveling at almost 200 km/h. Once we arrived in China, the train stopped and I got off at the first stop, which is Futian. The train station there is unbelievably clean and connects directly to the very well run Shenzhen subway system. So, that was the process and experience of the trip. Now, what does this all mean from a bigger picture point of view? While this may seem like just another train somewhere in Asia, the reality is that this new route will have major repercussions for the Asian economy. Just like the soon to be completed bridge across the Pearl River Delta, China is continuing to invest in major infrastructure projects that will have enormous impacts on their economy. The high speed rail network that now connects nearly every major Chinese city will enable their economy to grow from the ground up. That’s because ‘average’ Chinese citizens now have the ability to travel throughout China at a significantly lower cost when compared to air travel. Long distance travel has long been reserved for the elite and wealthy throughout the world, and especially in China. Ironically, the communist People’s Republic of China is now a world leader in democratizing travel options for it’s citizens. And don’t think that these travel options are for leisure. Sure, there will be many people using these high speed rail routes to visit family and travel to vacation spots. But think about the actual flow of commerce that will be spurred. Think back to the United States after World War 2. The US Government spent an enormous amount of money on infrastructure projects, with one of the most notable accomplishments being the interstate highway system. 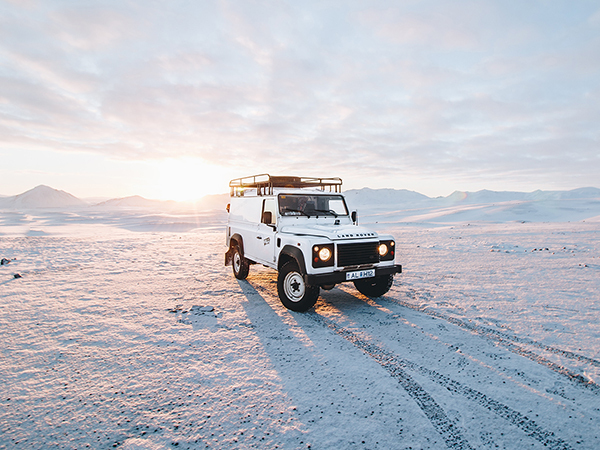 Today, in the US, we take the roads and highways for granted. But, what we don’t realize is that this vast network of roads has enabled the US to thrive due to the free flow of commerce. If we look at Hong Kong, which is the heavyweight of Asia’s financial and economic system, it’s easy to see how this wealth can be spread throughout China and the rest of Asia. Now, I don’t want to get too starry-eyed here, as China still has significant restrictions on the free flow of information and has a tight grip on the economy. I couldn’t even post this article until I returned back to the US, as the internet in China is highly regulated and limited. But, to assume that the West will continue to hold the power of the world’s economy is simply short sighted – especially when you consider the investment that China is making in their infrastructure compared to everyone else. If you’re an entrepreneur, an investor, or anyone interested in what is going on in China, you should fly to Hong Kong as soon as possible. 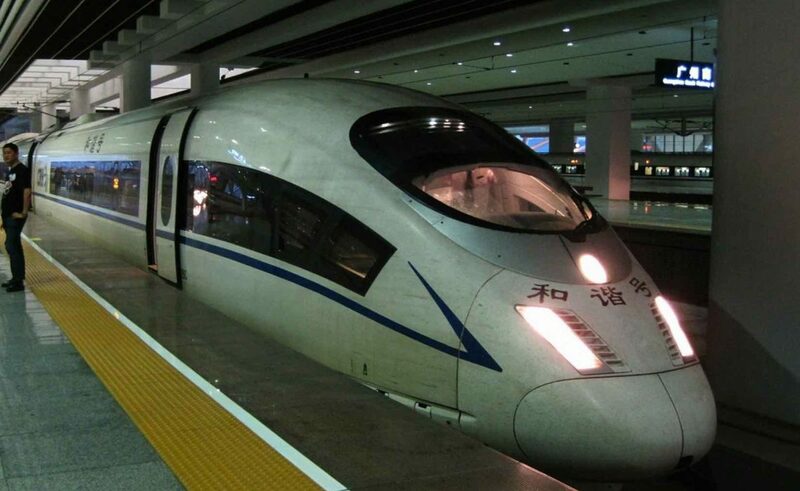 Once in Hong Kong, you can take the high speed rail into mainland China and start exploring. The unlocked potential that sits in China right now is difficult to comprehend. 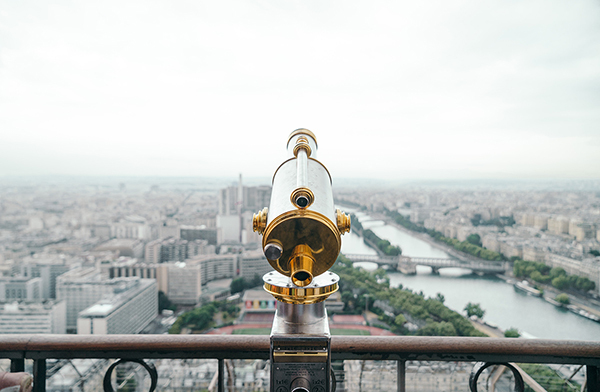 There are many challenges that come with this opportunity. In addition to language barriers and cultural differences, there is a government that runs a very tight ship that you’d have to contend with. That is exactly why so few people are traveling to China right now. And that is also exactly why the opportunity is so big.